Possibly anticipating renewed interest in his work with the release of the film Goodbye Christopher Robin, Bello Books have recently reissued a range of titles by A.A. Milne, available as ebooks or print on demand copies. For those already acquainted with his writing for adults, the most intriguing among these will undoubtedly be Lovers in London. A collection of pieces originally written for the St James Gazette, one of the many evening papers hungry for material when the likes of Milne and P.G. Wodehouse were starting out in the early 1900s, it didn't have much success when originally published in 1905. Milne later took pains to ensure it wouldn't resurface, so it's no surprise to discover that it's not exactly a masterpiece, but its reappearance after over a century is still worth celebrating. The reason that the original articles weren't written for Punch, whose editorship Milne had seen as his destiny since leaving Cambridge, is simple. Although he had already started contributing to that magazine he considered that it hadn't yet started to reward him appropriately. Assuming the rate would go up after a few pieces had been accepted, he learnt that the proprietors felt "the honour of writing for Punch was considered to be sufficient reward at first." Milne decided that "I had had the honour, and I couldn't afford to sustain it." This issue of money is worth emphasising. Milne's cutglass accent in the film Goodbye Christopher Robin may suggest otherwise but his origins were comparatively humble; his father ran a small private school. Milne became not editor, but assistant editor, of Punch in due course, but when he returned to the magazine's offices after the war it was gently suggested that he'd surely be too busy to resume his duties and must want to devote his energies to his promising second career as a playwright. Part of the reason for that less than effusive welcome may have been his working on plays when he could have been contributing more to Punch, but he had also been pushing for a greater proportion of his salary to be paid during wartime in a manner regarded as unseemly by the magazine's proprietors; unlike some other staff he had no private income to fall back on. And the fact he was a Liberal made it unlikely he would ever become editor proper of Punch. I pointed out that these were mostly political, and I was a Liberal. "That doesn't matter," he said, "we'll tell you what to write." I replied coldly that nobody could tell me what to write. He said, "Good afternoon." Barry Pain, who thought in little shilling books, said: "Why don't you make a little shilling book out of those St James' articles?" I said that there weren't more than half-a-dozen anyway. "Then write some more. You could call it Lovers in London. 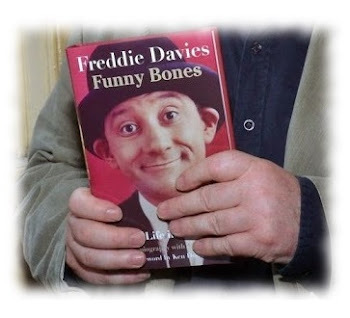 It would look well on the bookstalls." It wouldn't, I thought, look as well as Eliza, that best of all shilling books, but it would be a good thing to have done. So I did it; Barry Pain's agent sold it for me; and it was published by Alston Rivers: paper cover 1/—, cloth cover 1/6. Owing to the misplaced optimism of somebody I got £15 in advance of royalties, which was more money than I had seen for a long time. I also got one or two reviews. The Sheffield Daily Independent said (and I have been interested in the paper ever since): "The only readable part of this book is the title," which was more damping than it knew. A few years later E. V. Lucas read it, and suggested that I should buy back the publisher's rights, add some more chapters, and re-publish it at six shillings. So I borrowed Mother's copy, read it, and hastily bought back all rights in it for £5. I didn't want to re-publish it in any form, but I was terrified lest the publishers might. Sometimes now I see it advertised in booksellers' catalogues. It is marked, thank God, "very rare." Some chapters are better than others but as a whole the book falls short of his later Punch pieces, even though the humour is in a similar vein. The couple's conversation is peppered with playful literary allusions and catchphrases from advertisements - aided, in this instance, by the fact that Teddy, who is narrating, is an aspiring writer. Richard Usborne, in his book Wodehouse at Work, takes a chunk of Wooster-speak apart, pointing out all his half-remembered literary references; I don't envision a pressing demand for an annotated edition of Lovers in London anytime soon but one could conceivably do the same for Teddy, though it wouldn't have been necessary at the time. In Bertie Wooster's case such allusions, usually misremembered, are a natural outpouring of exuberance; in Lovers in London they also serve as a kind of low-level flirtation - very low, however, as there isn't much actual romance until the final chapters. Possibly it's because, in this instance, the woman is entirely made up. 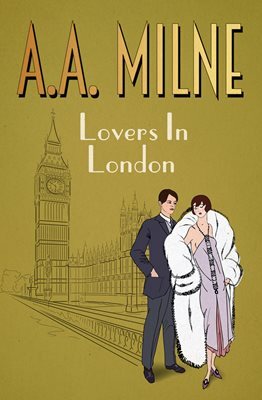 In her biography of Milne Ann Thwaite provides examples of how the lightest of trifles in Punch were often drawn from some autobiographical circumstance; in Lovers in London, however, the sense of artificiality and straining for humorous effect seem more pronounced - although as I write this I haven't reread the Punch collections for some years. I don't want to read 'The Rabbits' now, but I can do it without feeling uncomfortable. These earlier dialogues fill me not only with unease, but with a profound surprise that they led me anywhere. The latter is a reference to his student work for the Granta, not the St James Gazette, but did he feel the same about Lovers in London? That said, the book does perk up noticeably towards the end, when the couple actually leave London for the day and romance is mingled with the comedy. Were those final chapters among the material added to flesh out the story? And there's another reason, perhaps, why Lovers in London is hard to digest: it's not long for a novel but it's still a solid slab. The various comparable Punch series don't outstay their welcome in book form; they are part of a kind of variety bill in each collection, with parodies, poems and other material to vary the diet. Because the St James Gazette material is presenting itself as a novel, or novella, of sorts it creates a different sort expectation in the reader. That said, do try the book for yourself. It's of considerable historical importance, and if you stay with it you will find that it does have the charm characteristic of Milne. The Punch collections themselves have not been reissued by Bello, possibly because there have already been several public domain editions published in recent years; I'd recommend seeking them out if Lovers in London appeals. Having read through virtually all his Punch output, I can testify that only the cream of his writing for that magazine appears in the four collections (The Day's Play, The Holiday Round, Once a Week, The Sunny Side) and that no neglected masterpieces of hilarity lurk unseen within those bound copies to be found in reference libraries and crumbling country houses. Too long ago, however, for me to remember whether the pieces not selected by Milne as bookworthy were from his earliest days on Punch. On a more general note about these Bello reissues, they are pleasant enough editions with uniform covers which I suspect may be designed to attract stray Wodehouse fans. As I'll discuss more fully in later posts, Milne's fiction is more varied than that of Wodehouse; the ending of Chloe Marr, for example, is quite sombre, and Ann Thwaite has compared one novel to Evelyn Waugh. But it's the same era as Wodehouse, so the covers aren't misleading, exactly, just - well, canny. But I don't suppose, even with the extra interest generated by the film, that these are likely to be bestsellers, so they probably need all the marketing they can get. I must record, however, that, in the case of Lovers in London at least, there are quite a few typos, which suggests that this is an OCR edition which could have been checked rather more carefully. The faults are minor, but it does seem a pity. If anyone from Bello should chance to read this perhaps that could be attended to in the case of the ebook version and any subsequent print on demand copies (who knows, maybe my hard copy will become a collector's item). I will say more about the other Milne titles reissued by Bello in a later post. I am also pleased to see that they have have reissued many of Richmal Crompton's adult novels, to which I was introduced forty years ago by the late Robin Hume. I suppose you'd call them middlebrow but they are hugely entertaining accounts of families, written with intelligence and verve, as might be expected from the creator of William. I recall that it was the guilty pleasure of the heroine of one book to sit in a deckchair of a morning rereading Diary of a Nobody even though notionally more worthwhile tasks were demanding her attention. The reader may recall that Crompton, like Wodehouse, had a dig at Christopher Robin in one of the William stories, so the previous paragraph is not as off-topic as it may seem. And there is another connection: Robin, who was the warden of Glasgow Art School's hostel at Culzean, told me his father named him after Milne's son.